In Spring AC repair is an urgent concern. Your best case is to never be in the emergency situation when it comes to your AC unit. There are several steps you can take to help prevent having a catastrophic failure. The first thing to remember is to complete regular maintenance on your system. This keeps it working well, and helps find issues while they are still easy to deal with. It also keeps costs of running your system down. Well maintained units are going to be more efficient at cooling your home. The second way to stay out of trouble with your air conditioner in Spring is to keep an eye on it. Early detection saves money and headaches. Many issues are easier to fix when they are caught before they turn into an emergency. Finally, you need to deal with emergencies in a calm way. Make sure your service provider offers emergency services. Have that information on hand, which allows you to act promptly. Even with all the preventative maintenance and quick repairs, you may need to deal with a failure. 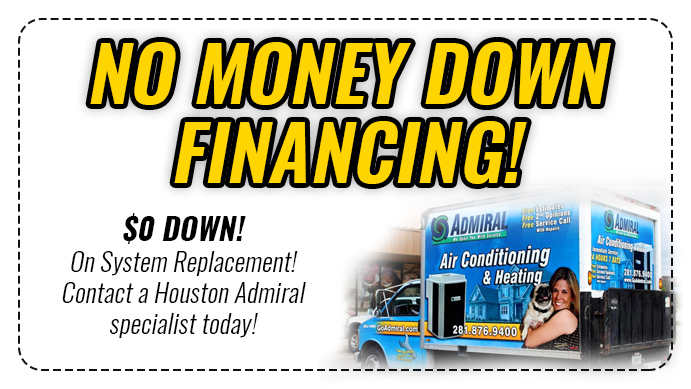 For all of your air conditioning repair in Spring, Houston Admiral is there for you. Visit their website to learn more about their services. You can find it at https://goadmiral.com. Reach them by phone, and they will be happy to answer any of your questions. Their telephone number is 281-876-9400. They serve the Houston region from their location at 20222 Stuebner Airline, Spring, TX 77379. To get the most life out of your air conditioner, proper maintenance is very important. The most obvious time to have you unit inspected is right before the hot summer months. Your system needs to be working at peak performance to get you through those heat waves. Schedule ahead because this is a very busy time for most AC companies. You, and everyone else, don’t want to face July and August with an air conditioner that is not running well. It the same line, your unit needs to be serviced in the fall as well. With all the wear and tear that summer brings, it is important that your unit is seen by a professional. While a break down in November is much less concerning, it is still a costly inconvenience. During maintenance, a technician is going to look at several things. They will deal with your dirty air filters, check the lines, and make sure everything is working well. There are typically some small issues that are addressed at this time. This saves you down time for the repair, and is much less expensive than a major failure. In addition to this, maintenance also keeps the unit running efficiently. This saves you a great deal in operating costs during the life of the unit. Hiring a tech to perform these tasks regularly makes your unit last longer. The air conditioning unit is not a cheap piece of equipment. Maintenance lets you have it around for as long as possible. To find regular maintenance, speak with Houston Admiral. They offer service agreements that keep your unit running efficiently for years to come. Call 281-876-9400 to learn more on their maintenance agreements. You can also visit their website, https://goadmiral.com, for more details. They are located at 20222 Stuebner Airline, Spring, TX 77379, and serve the Houston region. For many people, when their air conditioner in Spring is working, they don’t think about it too much. This happens naturally, but it is not a great idea. Many problems that AC units have are best dealt with quickly. To do this, you need to be aware of how your system is running. Strange noises are always a sign that your AC unit needs some investigating. Simple things, such as dirty filters, make your system work harder. However, strange sounds are also an indication of much more serious concerns. Troubles, such as failing bearings are simple to fix, if you do it in a timely fashion. However, if it goes unnoticed, it can fail in a spectacular manner. Many AC units need to be replaced because someone didn’t question an odd noise early enough. Another key sign to the health of your air conditioner is your utility bill. When your unit needs to work harder because of a mechanical issue, it is going to take more electricity. This costs you money, and is also a telltale sign that a technician should be called. Houston Admiral is happy to look into any concerns you may have about your air conditioner. Their highly trained and experienced staff help ensure you stay cool. Call to book an appointment today. They can be reached by phone at 281-876-9400. Their address is 20222 Stuebner Airline, Spring, TX 77379. For more details on what they offer, visit https://goadmiral.com. The company that you choose to maintain your AC system needs to be reliable. They are responsible for keeping your house cool and comfortable. This is done year round, even during the Houston summers. Regular maintenance and emergency repairs are both important services. You must look into both aspects during your search for a repair company. You are going to want a company that has a great service department. Some places offer discounts or rewards for regular customers. Other places allow you to sign up for service agreements. These agreements get you regular appointments at a negotiated rate. Check around, and find the best service for you. Emergency service is another factor you must consider. While maintaining your unit is recommended, even well maintained systems can fail. To keep things as low stress as possible, have the contact details for your air conditioning repair services on hand. This allows you to start the repair process quickly, and with the least amount of hassle possible. 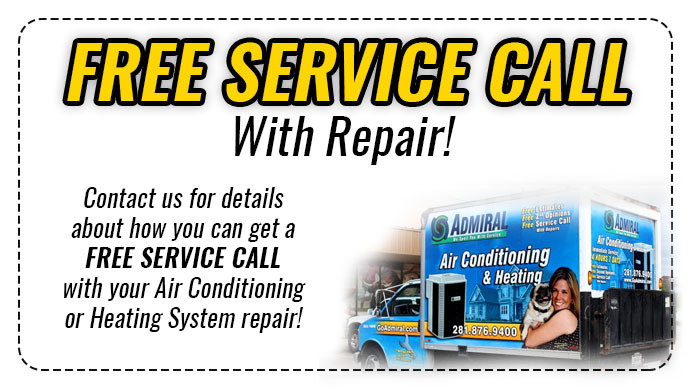 Houston Admiral provides quality repair and maintenance services for your HVAC system. Call them at 281-876-9400 to speak to their friendly staff. They serve many Houston regions, and are located at 20222 Stuebner Airline, Spring, TX 77379. For more details on their services, go to https://goadmiral.com. In Spring AC repair is something you should leave to the technicians at Houston Admiral.